Calacatta White marble and Absolute Black granite. 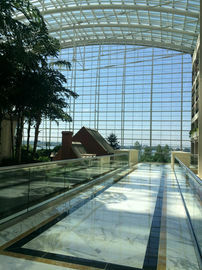 The Marriott-operated, Gaylord National Resort and Convention Center, National Harbor, Maryland, opened on April 1, 2008. 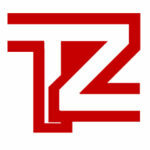 TAL Design, Las Vegas (formerly ABA Design) was hired by Gaylord Hotels to design-build the interiors. 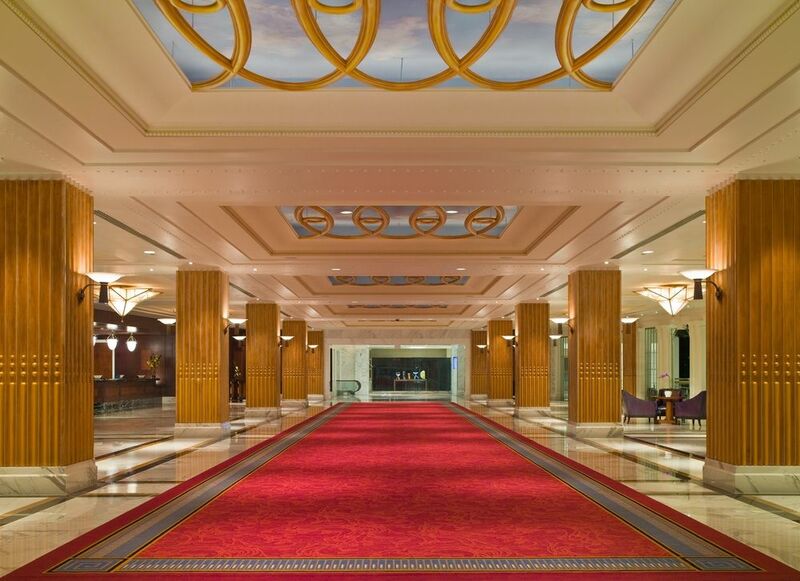 TAL Design wanted to use Golden Spider for the lobby and corridors of the hotel due to its success at the Wynn Casino + Hotel and the Encore Casino + Hotel, Las Vegas. Calacatta White marble in the field; Absolute Black granite and Giallo Real marble at the border. The timing for this selection was poor because Wynn was using it again for the Wynn Casino + Hotel-Macau project which Stone Ally was supplying. There was not enough time to quarry and deliver both projects with the same material. The $870 million project had over 1.3 million room nights booked before its grand opening, which created extra pressure to keep the project on schedule. 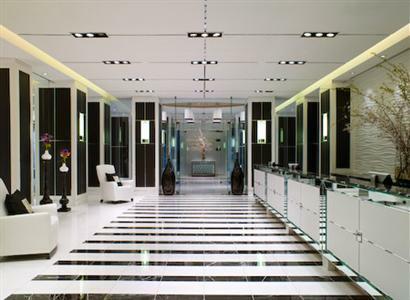 Stone Ally worked with TAL Design, Las Vegas on both the Wynn Hotel + Casino and Encore Hotel + Casino. This is how the designers became acquainted with Golden Spider marble. Stone Ally is proud to have provided stone Gaylord National Resort + Convention Center, the largest non-gaming hotel and convention center on the East Coast of the United States.